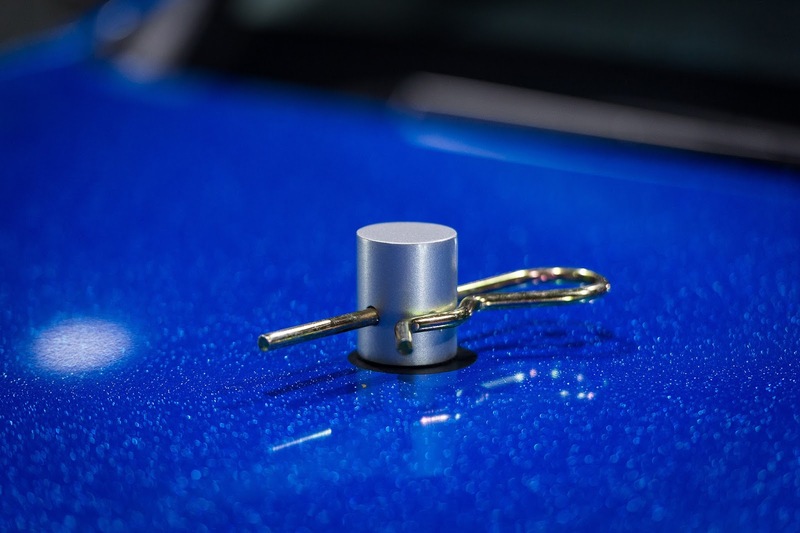 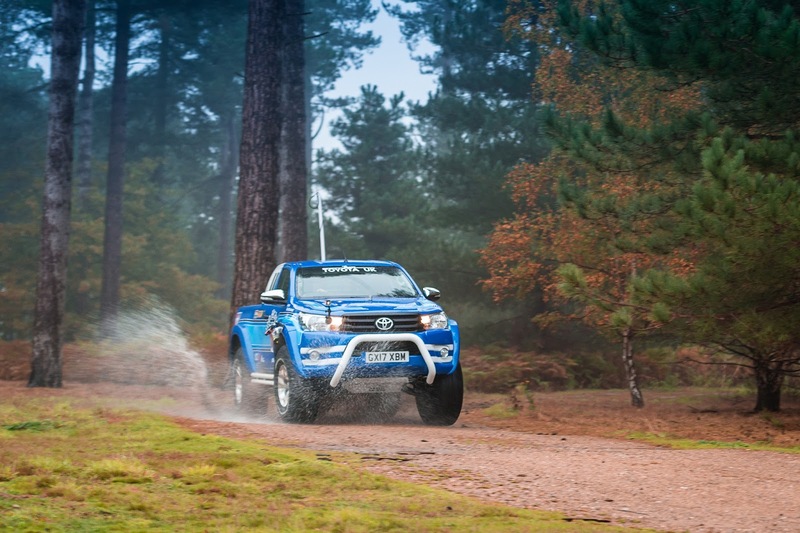 Following on from the Little and Large videos that we helped with earlier this year in conjunction with Toyota and The Hobby Company. 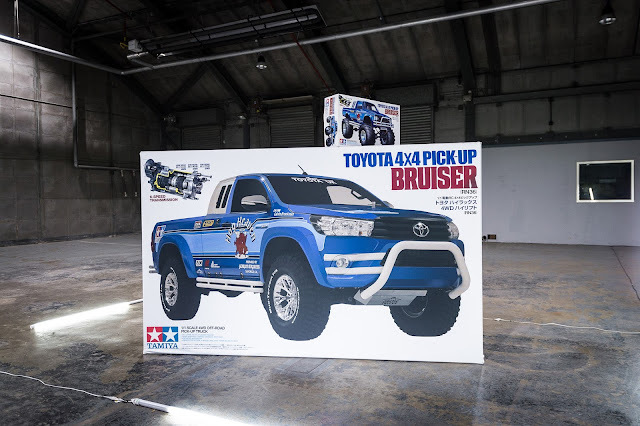 Toyota has now gone one further by producing a full size Tribute to the Tamiya Bruiser. 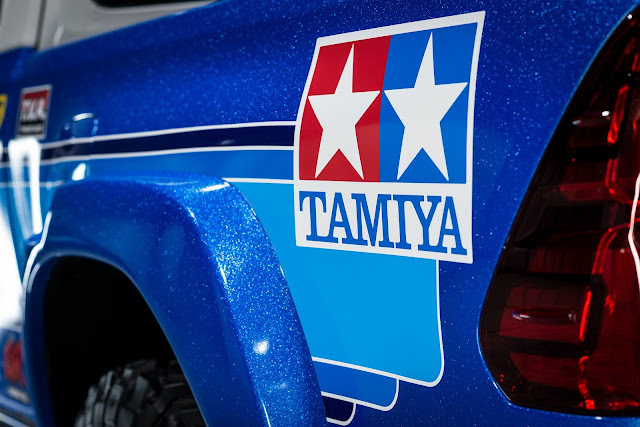 The wheels themselves have been given a chromed finish to match the Tamiya model, and the bodywork has been wrapped in a high-metallic Diamond Blue vinyl by the skilled team at Funkee Fish. 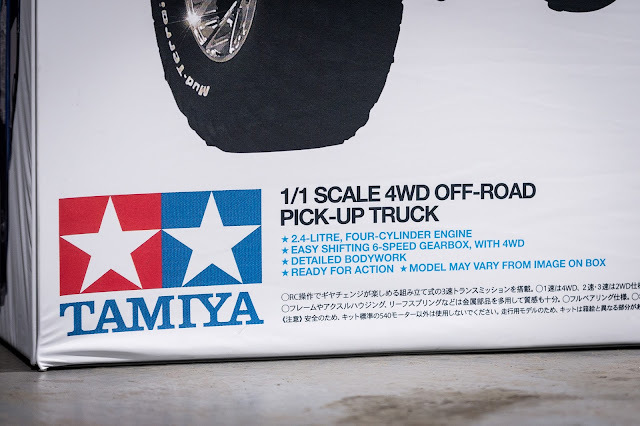 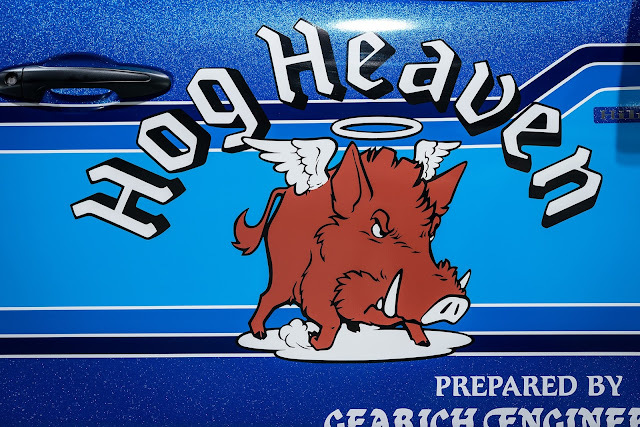 The Tamiya Bruiser’s famous “Hog Heaven” livery and all its other decals have been digitally reproduced by hand, along with a faithful reproduction of distinctive tri-colour stripes that run the length of the body and frame the bonnet, complete with a Tamiya logo on the rear quarter. 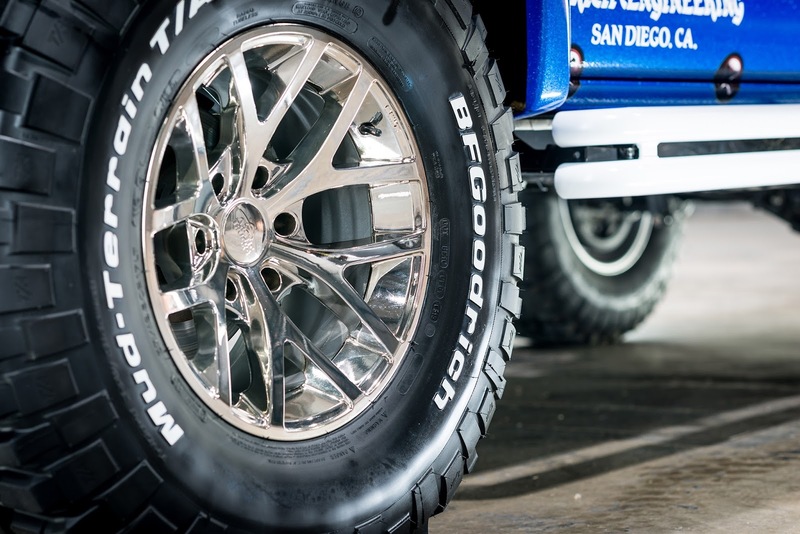 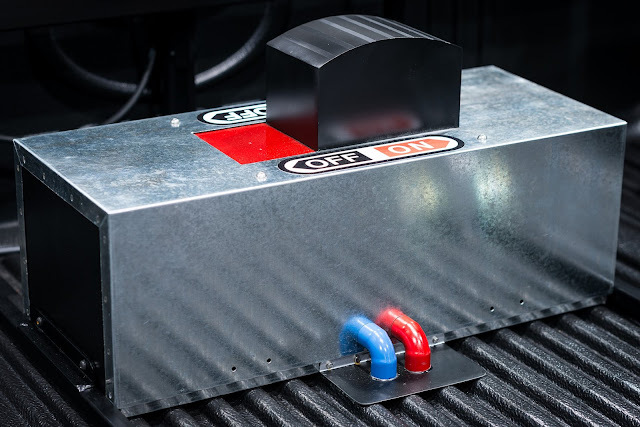 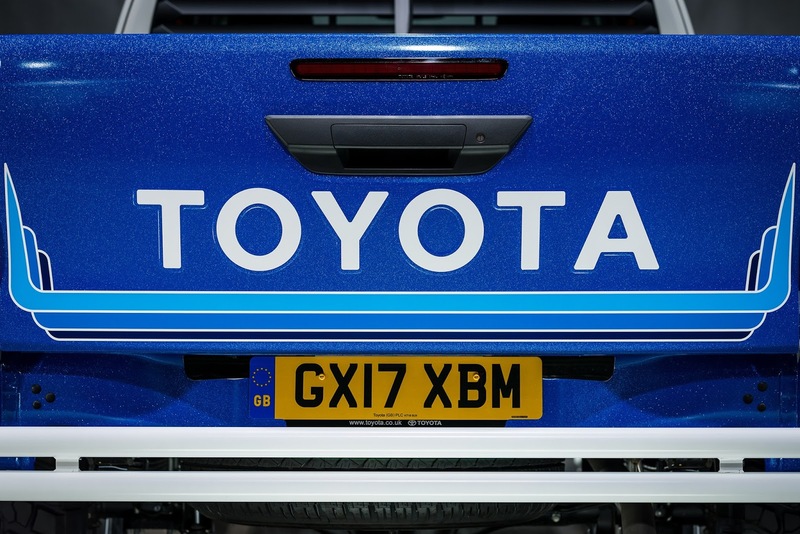 On the tailgate, the TOYOTA name looks as though it has been stamped into the metal, an effect achieved using a special dome gel. 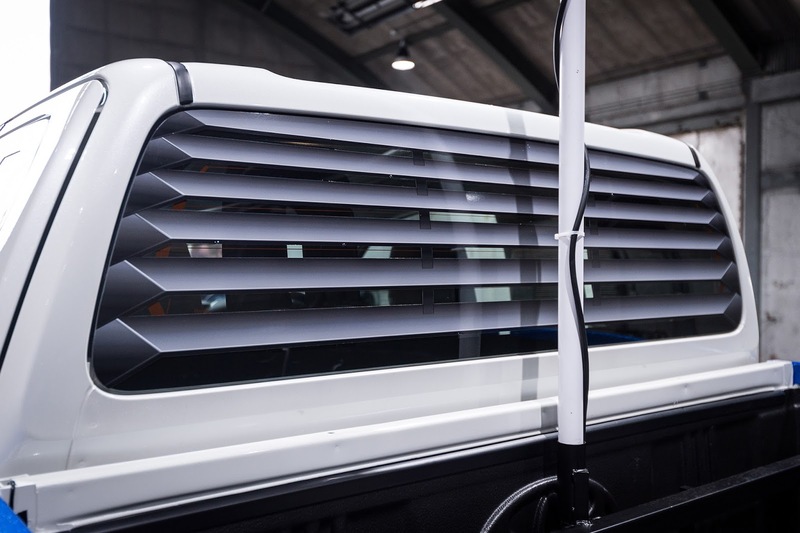 The same material was used to simulate the raised black window surrounds on the rear section of the cab. Just like the Tamiya icon, the Hilux Bruiser has a louvred rear window. 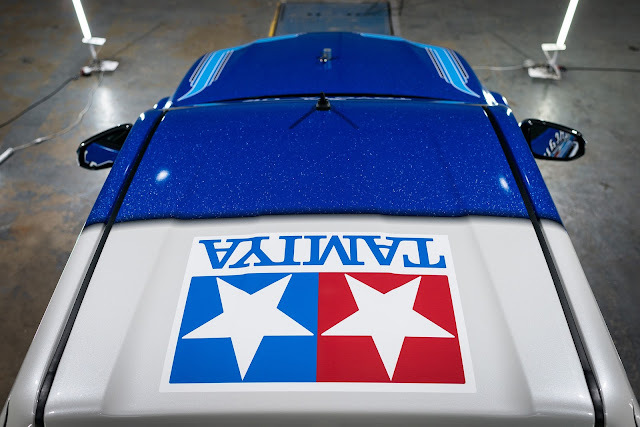 In fact, it was impossible to install the actual glass, so a two-dimensional print has been used that looks just like the real thing, even at close quarters. 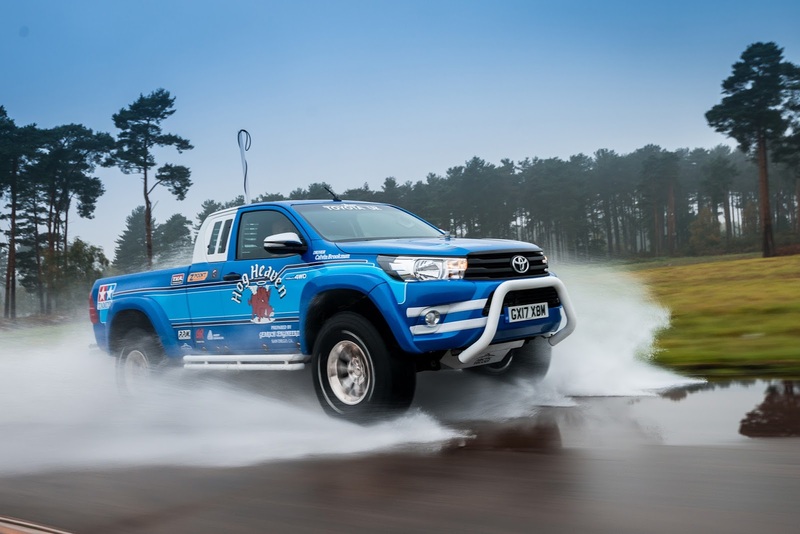 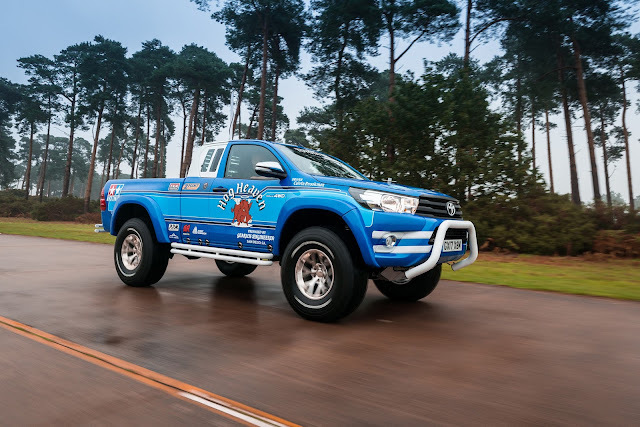 The Hilux Bruiser’s development is another take on the Little and Large theme that Toyota explored in its earlier films showing how the Tamiya models can deal with tough driving conditions, just like their big brother.